How I Value a Stock For Investing Using Financial Ratios? Markets will overvalue a stock and undervalue it at another point in time. Valuation is the key to investing at the right price. One has to identify at what valuation one is comfortable investing and then invest in the right stock at the right price and for the right time to make the most returns from the investment. Even if you have to miss one of the parameters, it can’t be the miss on stock selection or investing at the wrong price. If you choose the wrong stock, it’s a disaster. If you invest at the wrong price, the wait can be very long and boring and you may book out at no profit no loss most of the time. If the timing of the investment is wrong but if the stock and price are right, one can wait out. So being able to find the right price where stock provides value is an important aspect of investing. So here is what I prefer valuing a stock. 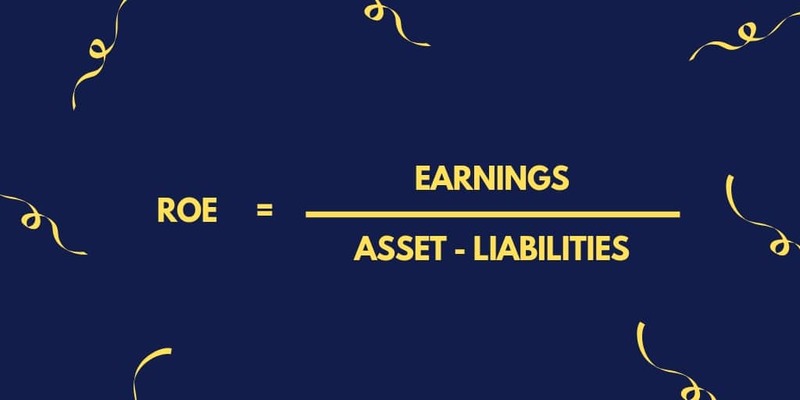 The one of the first parameter to look for investment is, at what earnings multiple you are investing. Often we look at the peer’s price to earnings multiple but I like to see the historical price to earnings multiple of the stock itself. At what lowest price to earnings multiple the stock has been trading in the recent past. Like Page Industries has always been trading at a very high PE multiple and in the recent correction, 60PE may be something that may interest me but Jubilant Foodworks at 60PE isn’t something that convinces me to consider. So a general PE isn’t something I like to consider but a historical PE for the stock. Also, check out Why Price to Earnings Is An Important Factor in Valuing a Stock? ROCE or return on capital employed is a way to measure the efficiency of the management to be able to use the cash in the business at better than the market rate for an elongated period of time. Higher ROCE means better efficient management which means better profitability for the business and the company in the long run. ROCE is one of my favorite parameters to consider when investing. I don’t like to invest in companies that have single digit ROCE for an elongated period of time. Also, check out How I Use ROCE to Invest? I am never comfortable investing in high debt companies. The companies that have gone bankrupt till date always had debt that they couldn’t control. So I always prefer low debt companies for my investment. I think it is the sure shot ways to invest safely in the market. There are very few exceptions that I prefer taking when it comes to investing in companies with high debt. As an example, I knew in 2016, Jubilant Lifescience was at a sweet spot for the business by looking at the companies annuals reports but invested very small amount because it had a high debt at that time. Though the debt was on the downward spiral, still was quite high. As the debt reduced, I invested more. If you aren’t sure, never make an exception to investing in a debt-heavy company. Check out some of the examples of how Debt heavy companies are on the verge of being bankrupt. OPM or operating profit margin according to me is one of the most vital ratios in evaluating a business. OPM helps me understand the sector leader in the market and how it can disrupt the sector over time. I have shared an example of how Bajaj Auto has dominated now after it has managed to grab the position of being a market leader in the two-wheeler segment here just because it has managed better operating profits. Earnings per share or EPS of the company is calculated based on the past earnings but the share price is often a factor of future earnings. So it is important to be able to predict the future growth of the company’s EPS and earnings potential. So the past EPS should be used to calculate the future EPS based on the growth in the EPS which is one of the crucial factors to investing in the market. EBITDA stands for Earnings Before Interest, Tax, Depreciation, and Amortization or in simple terms EBITDA is the earnings capacity of the company purely from the day to day operation of the company. Check out the simple explanation of EBITDA. A negative EBITDA for a couple of years or more in a row is a big red flag for me. I don’t believe in turnarounds and so I always avoid investing in companies loss-making companies. Promoter holding is the percentage of the total company held by the promoter. In a large-cap company, lower promoter holding can be acceptable to an extent but for a mid-cap or small-cap company, I don’t prefer a low promoter holding because as the company grows, the promoter may need cash to fuel growth. They can do that by diluting their stake in the company. If in a small cap or mid-cap company, if the promoter holding is low, they can have a tough time to fuel the growth in the future. So I generally tend to avoid companies that have low promoter holding. Small Cap – I consider small-cap companies with market cap of ₹ 100 Cr to ₹5,000Cr and prefer a promoter holding around 70%. Midcaps – Companies with a market cap of ₹5000 Crore to ₹50,000 Crores and promoter holding between 50% and 70%. Large caps – I don’t give too much importance to promoter holdings though I don’t like companies with under 25% promoter holding. Check out Why promoter holding is an important aspect of investing. Revenue growth is important for me to consider an investment but more important is cash flow from revenue growth. If a company is setting up distributors, on the books of the company, it may have a huge sales growth. In real terms, the company hasn’t sold the goods to the customer but they have just pushed it to the distribution channel without making actual sales. Once you look at the cash flow, one can see the clear picture of sales growth. Remember using distributors is quite normal for any business and so it is important to look at such a trend for few years than just a one-year data where they may have a new product launch and may have pushed the product to their distributors as normal practice. Earnings yield is the ratio of the earnings per share to the current share price. It is inverse of the price to earnings ratio. 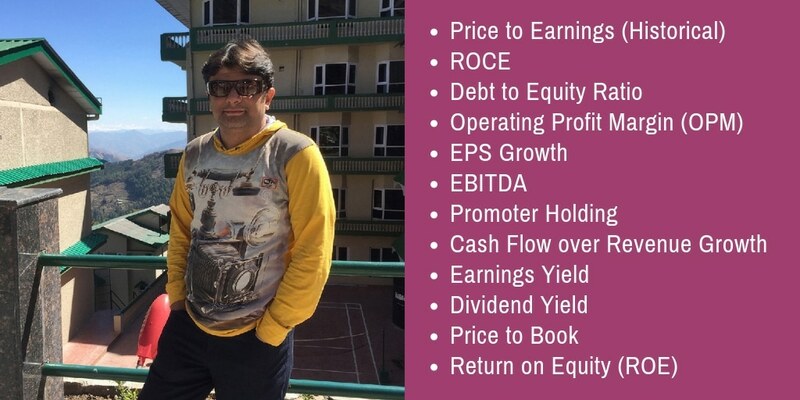 Earnings yield is often calculated based on the past earnings but like EPS, it should be forward-looking and how much the company has a potential to earn more in the future which is a more important factor than anything else. So whenever you want to be using earnings yield, always calculate the forward-looking earnings based on the past earnings. The dividend can be a factor to perceive the business is cash generating. So the company is distributing the money to its shareholders in the form of a dividend. So dividend yield can be a parameter to consider when investing but a very high dividend yield can also mean the company has run out of avenues to deploy cash to build and grow the business. So they are sharing the profits in the form of a dividend to its shareholders. In India, often the PSU companies will be among the high dividend yield stocks. So consider high dividend yield companies only if you know what you are investing in or what is your investment objective. Book value is the net amount of companies physical assets ( excluding patents, goodwill) less the liabilities. So in absolute terms, book value is the net assets of the company. The share price of the stock is calculated based on its book value and how many times it is from the current book value. I don’t prefer investing based on book value because good and well discovered financial sector companies will always be trading at much higher book value. Like Price to book, ROE is also a criterion which should be used with caution. It is a double-edged sword and one can increase the ROE in the company by increasing liabilities as I have explained in the article here. So remember to use ROE with caution on non-finance sector companies. What ratio you prefer to value stocks for investment. Did I miss anything? Share in comments and I will be more than happy to add more ratio in my process of evaluating a stock. You are here: Home / Investing / How I Value a Stock For Investing Using Financial Ratios? What is ROE or Return on Equity?